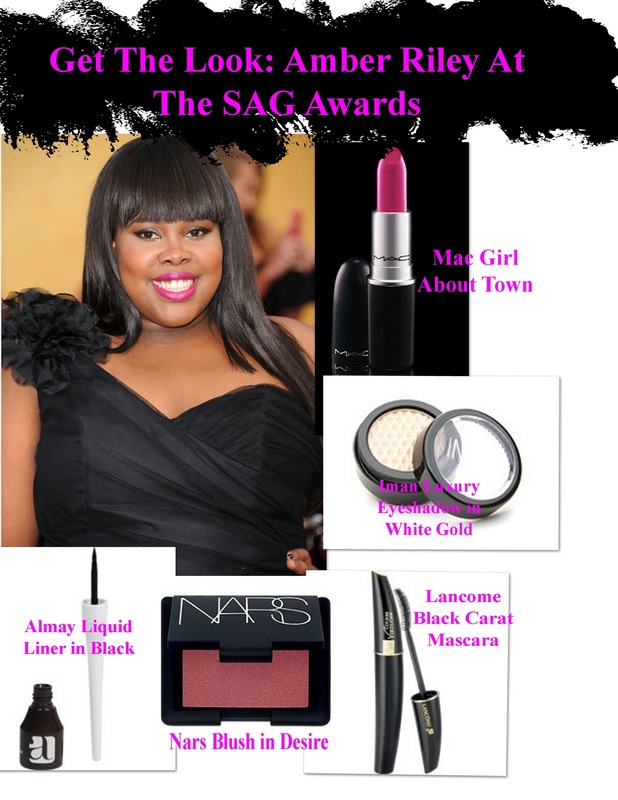 We are all in agreement that Amber Riley looked smoking hot in a black gown at the SAG Awards last night. What SC also loved about Amber’s look was her makeup. Bright lips and golden eyes seem to be a popular trend amongst celebrities. Amber’s makeup is great for a date night or when you need to punch up an all black ensemble. You can never go wrong with bright lips, a golden face, rosy cheeks. There’s not a woman alive that doesn’t love them some Jimmy Choo shoes. The luxury brand is king of creating classic shoes with a sophisticated edge. Just like any luxury brand, Jimmy Choo doesn’t come cheap and many of us have to put our face and hands on the glass window at Saks and Barney’s only to stare at a pair of Jimmy Choo’s because our budgets just won’t allow them to walk into our closets. is the face of the ad campaign. The fragrance is being released in part with the Jimmy Choo brand celebrating its 15th year in the business. The fragrance will be available in Saks Fifth Avenue stores. Tell SC are you going to grab up the first ever Jimmy Choo fragrance? Anyone who’s anyone in the makeup world, from the pro artist to the makeup geek, knows about Makeup Forever and their fabulous color intense products. 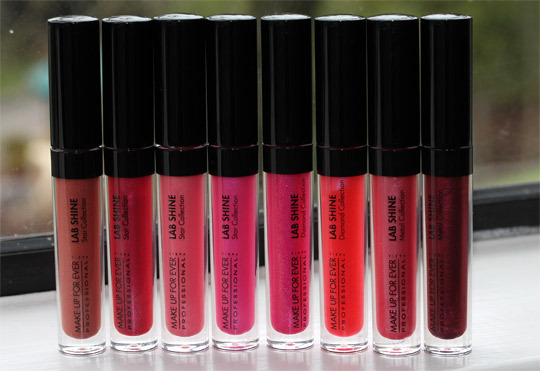 Well in following true to form, they’ve launched a New Collection of Lip Gloss cleverly named Lab Shine. They’ve wowed us again with 35 color rich, super fabulous hues that range from the seasons popular Bordeaux’s and purples (even a black shade: Chrome Onyx Metal Collection – M0) to the always trendy pinks, reds, and tangerines. They come in three finishes, Diamond, Star and METAL!!! Oh yeah!!!! The Diamond Collection is comprised of 12 shimmery glittery shades that are made with the brands uber fabulous diamond powder. If you’ve never tried their diamond powders, make sure they are on your must have list because those little pots pack a punch. These are the more subtle colors of the collection. My fave collection, The Metal Collection, is just sheer ROCK STAR GENIUS (that means awesomeness in my language). It only has 9 shades but the mix of Makeup Forever Metal Powders gives these full coverage glosses an intense, chrome finish!!!!!! Can you stand to hear more??? 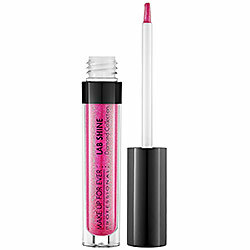 According to Sephora: This gloss combines camelina oil and mother-of-pearl particles that reflect light to create incredible shine that adds volume to the lips. Formulated with hyaluronic acid, it provides intense hydration with a non-sticky texture for a noticeably moisturized pout. Its subtle apricot fragrance also adds a sweet scent to your lips. You can find them on http://www.sephora.com. They are scheduled to appear in stores in February. Retail cost :$18 a tube.